Involvement AIF WW1, Sapper, SN 8279, 1st Tunnelling Company (inc. 4th Tunnelling Company), "The Last Hundred Days"
Help us honour Frederick Nelson Knight's service by contributing information, stories, and images so that they can be preserved for future generations. Born at Holme-on-Sea, Norfolk, England, he was the son of Frederick Thomas and Elizabeth, nee Nelson, Knight. The 1891 Census of Norfolk records his family living at Thurlow Cottage in the village of Holme. His father Frederick T. is aged 40 and a coal merchant by occupation. His wife Elizabeth is aged 33. Frederick N., 14; George E., 12; Dorothy, 11; and Beatrice, 10, are all scholars. A servant, Minnie Wales, 17, is performing housemaid and domestic duties for the family. In 1901 the family is living at Goodwin Road, Kings Lynn. Frederick T. is aged 50 and still a coal merchant. Elizabeth is now 44 years old. Frederick N. is 24 years old, single, and a coal merchant’s clerk by occupation. Dorothy, 21 and Beatrice, 19, are living with their parents but do not seem to be employed. Two servants are also recorded; Amy Atkins, 23 is the cook/domestic, and Gertrude Seaman, 18 is a general servant/domestic. Fred came to Australia and worked as a Labourer in Three Springs, Western Australia (WA) between 1911-1913 The 1912 Electoral Roll records Frederick Nelson Knight, labourer, Three Springs, Swan, WA. In 1915 his address was General Post Office, Perth, WA. Fred was aged 40 years and 7 months when he signed the Attestation Paper of Persons Enlisted for Service Abroad at Bunbury, WA on 25 June 1917. 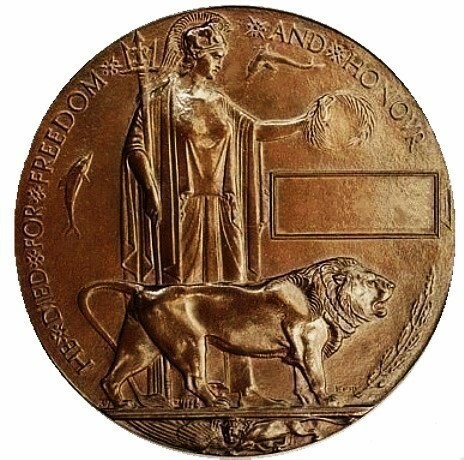 Fred had served 9 years with the 3rd Battery, Norfolk Regiment, before emigrating to Australia. Still single, and a Miner by Trade, he stood 5ft 9in tall and weighed 175 lbs. He had a fair complexion, grey eyes and brown hair. He named as his Next of Kin his mother, Mrs. Elizabeth Knight of Norfolk, England. Fred was passed medically fit for active service at Bunbury and transferred to the Tunnellers as a Sapper on 11 July. He underwent training at the Broadmeadows Camp, Victoria from 24 August, transferring to the Miners Training Camp at Bendigo on 1 October 1917. Appointed to the June Reinforcements, Tunnelling Corps, on 31 October 1917 at Bendigo, Victoria, Fred embarked on 26 November 1917 on board SS Indarra with the 130 man strong June Reinforcements to the Tunnelling Companies. SS Indarra departed Melbourne, Victoria at noon on November 26, 1917. On November 30 at 10.15 p.m. the ship arrived at Albany, W.A. and departed at 2.10 p.m. on December 1, 1917. Colombo, Ceylon was reached by December 13 at 10.30 a.m. and departed two days later at 8.30 a.m. on December 15. Christmas Day was specially provided for by the ship and religious services were held on board. The troops disembarked at the Suez at 7 a.m. December 27, 1917. Amusements such as sports and cricket between various troop decks took place with some competitive teams made up of officers. Occasionally a religious service was held during the week. Weather was excellent and warm in the tropics. The troops were transhipped to HMT Kashgar on January 9, 1918 and arrived at Taranto, Italy on January 20, 1918. They were entrained at Bordighira, Italy on 24 January for the 7-day trip across Italy and France, arriving at Cherbourg, France on January 31, 1918 where they boarded H.M.T. Mona’s Queen and disembarked at Southampton on February 2, 1918 after a 68-day trip from Australia. The men were entrained to Parkhouse camp and marched into No 3 Details camp the same day for further training for the front. They had gone from the tropic summer into the Northern winter. Sapper Knight marched-in to the Parkhouse Camp on 2 February 1918, proceeding overseas to France on 2 April 1918, via Southampton, arriving at the Australian General Base Depot on the same day. He was transferred to the Australian Corps Depot on 13 April and on the 15th of that month was taken on strength of the 1st Australian Tunnelling Company (1ATC). In June 1918, Fred was charged with ‘conduct to the prejudice of good order and military discipline’ and was awarded forfeiture of 7 days pay. On 7 July he was admitted to the 5th Casualty Clearing Station Hospital with Broncho-Catarrh, and after some treatment he was transferred to the 4th Army Convalescent Depot on 18 July 1918 for further recuperation, rejoining his unit on 28 July. 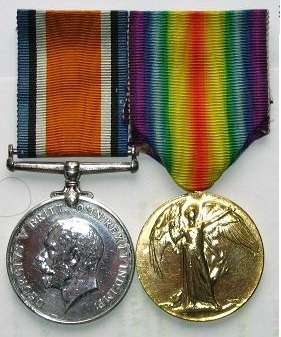 On the 29th and 30th of September, 1918, elements of the 1st and 2nd Australian Tunnelling Companys, supporting the Infantry attack on the Hindenberg Line at Bellicourt and Bony, charged with the usual Engineer tasks of clearing enemy mines and booby traps from roads and dugouts following the attacking Infantry, clearing and maintaining the tactical roads, clearing wells and setting up water points. When the attack stalled and became disorganized, the Sappers continued with their assigned tasks, assisted to re-organise the line, captured prisoners, carried messages for their own and other units, organized a party of American Infantry, helped feed an artillery battery with ammunition, assisted and carried wounded, all being achieved under heavy shell and machine gun fire and while their own sections suffered 50 and 75% casualties. Frederick Knight was part of a 1 Tunnelling Company detachment supporting the British Army's assault crossing of the canal, when he was wounded in action on 4 Nov 1918, later dying of his wounds. He was among the last AIF KIA and arguably the easternmost on the Western Front. Four VCs were awarded in the course of this operation, and British Poet Laureate Wilfred Owen, MC was killed in action during the course of it on the same day.